Frankly, 4K on a 15-inch laptop feels like overkill, but on a huge 27-inch display, a very high-res display is more defensible. Riccio: Timing controller tells every pixel what to do and when to do it. T-Con didn't exist that could do that job, so we had to invent it. But, I ask, what kind of GPU is going to drive this display? 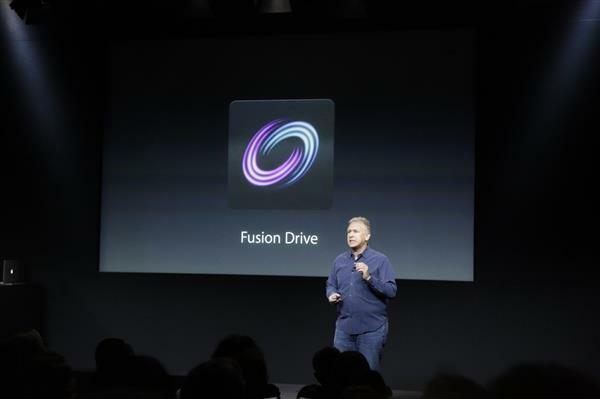 I've heard some murmurings of Apple switching back from Nvidia to AMD, but we'll see what they say. Riccio: Whether you're looking at photos or text, the picture is stunning. 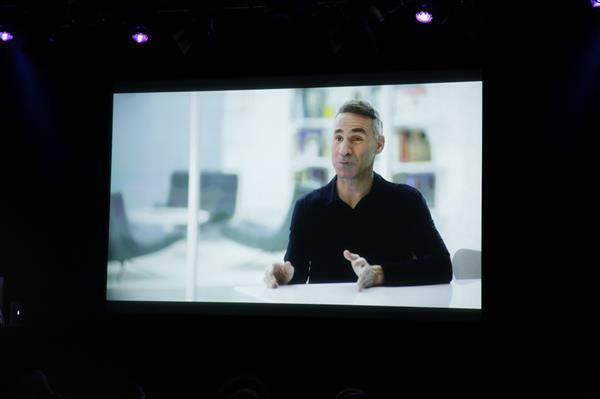 Also increased contrast ratio so whiter whites and blacker blacks. 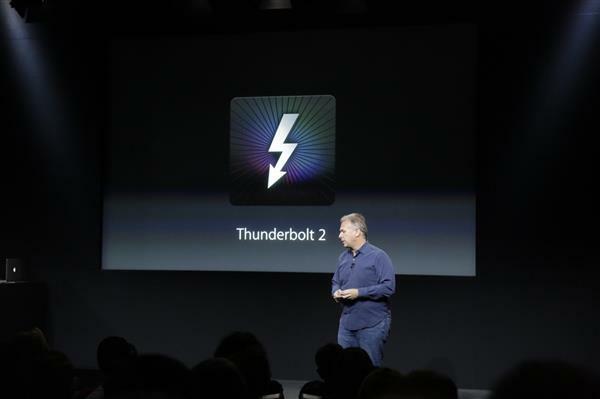 Will Apple start offering 4K video, perhaps in the iTunes store? 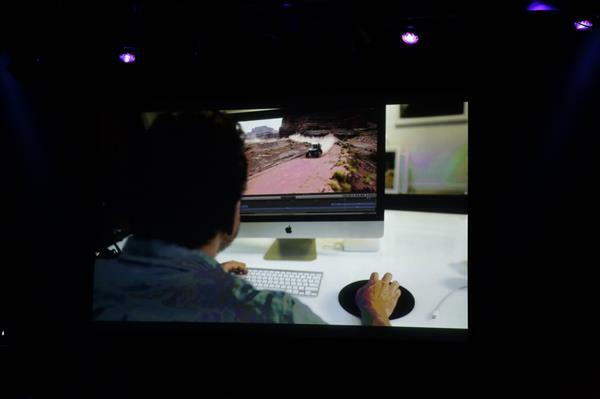 For professional video people, Apple really pushed last year's Mac Pro desktop as 4K-friendly. Would you buy this as a standalone 5K cinemadisplay? How much? Don't know yet, but it's not gonna be cheap. 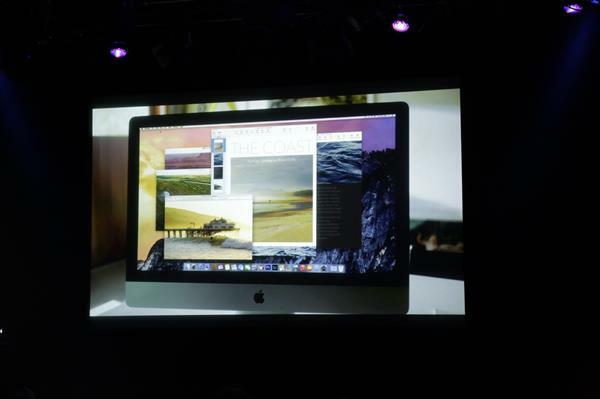 Schiller: Not only have we built an iMac with the most incredible display we've ever made, but throughout the product line we've update. Intel 3.5GHz, quadcore i5. 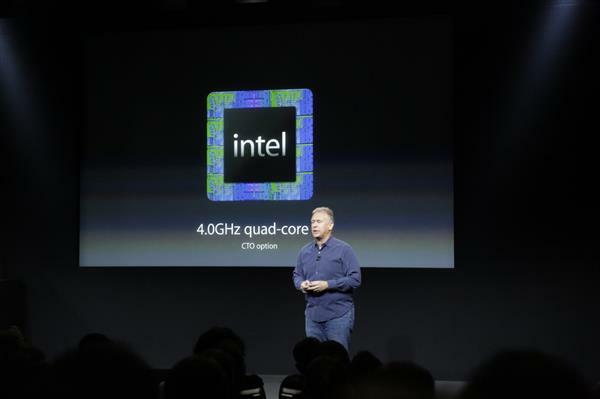 Upgradeable to 4 GhZ. Ah, there's the AMD. 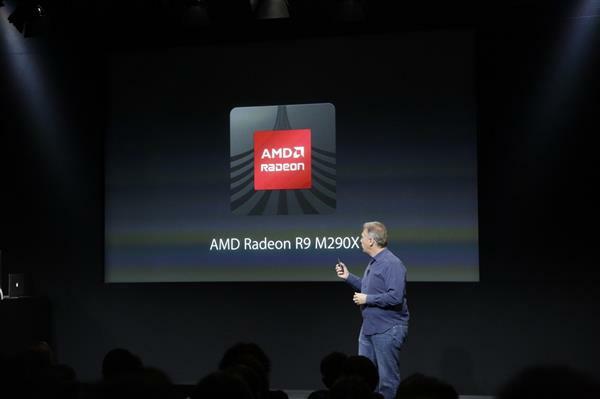 Radeon R9 -- the Mac Pro desktop was also AMD-powered for GPU. No talking Intel's delayed Broadwell chips. This is strictly Haswell. 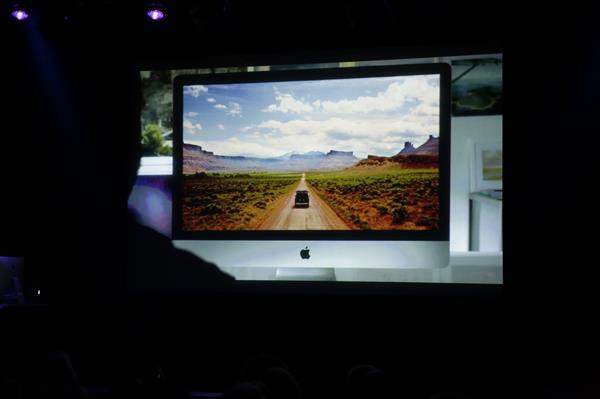 Schiller: What does this amazing state of the art new iMac cost? Schiller: Let's make a comparison. 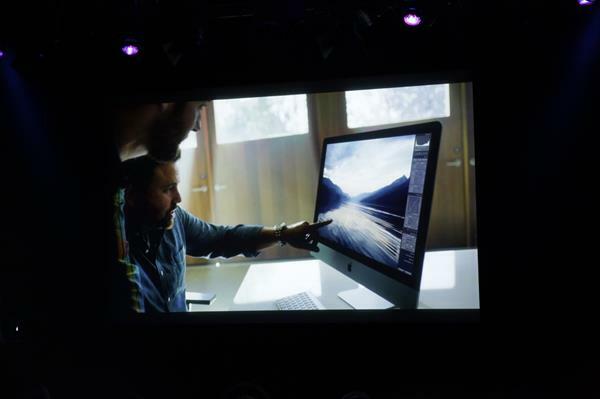 If you try to buy a new 4K display, not quite as many pixels as iMac. Range from $3000 and more. Pricing on a 4K display? Schiller says $3K. Guess he doesn't shop Monoprice. 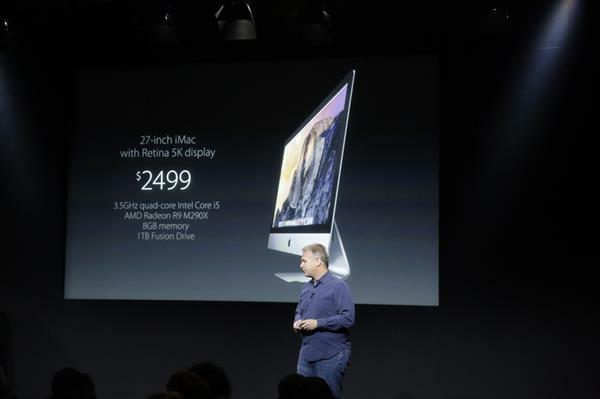 Ships today, at $2,499. 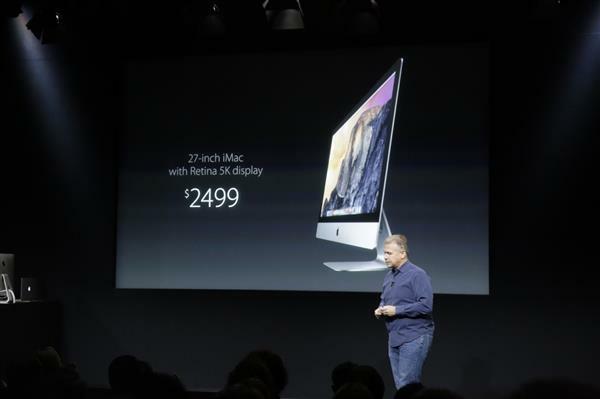 But old non-5K versions still available, including the recent 21.5-inch, which is essentially a MacBook built into an iMac case.